Buonconvento: benches waiting for the idle visitor. I've written about my passion for Buonconvento before. The Southern Tuscan town sports great museums and ice-cream and a beautiful town center with impressive town walls. Plus, the town is often overlooked by tourists heading towards Montalcino and the Val d'Orcia. Buonconvento is not entirely off-the-beaten track, but definitely refreshing after an afternoon spent jammin' it in Siena or Pienza. This said, during a few days of the year you'll be surprised by running into quite the crowd in Buonconvento. Luckily it will be made up by mainly locals, not tourists. In July a lot of people from the province of Siena have a glass of wine and a plate of homemade pasta at the Festa della Trebbiatura (the threshing festival), which takes place right next to Buonconvent's beautiful town walls. This is a great event to visit if you've been wondering what life might have been like in Tuscany in the good old days (or the not so good old days). The festival takes you back into the 30s and 40s of the last century. Seen from today those decades seem closer to the middle ages than to the 21st century. Less than a hundred years ago Tuscany was still a poverty stricken region. The peasants didn't own any land but lived under the rule of the mezzadria (share-crop) and were totally dependent on the rich landlords. Nevertheless the threshing festival is a jolly event. Buonconvento's inhabitants are not just retelling the story of the daily hardship of their ancestors. The positive sides of the simplicity of the life in the Tuscan countryside are retold too: the skills of the local craftsmen and the deep understanding the farmers had developed about the surrounding land and nature. This is the century-old knowledge that lies at the base of success stories like Montalcino's world-famous Brunello wine or Tuscany's many food delicacies. Festa della Trebbiatura: every year in July. Fair with market stalls, theater, local food and dancing in Buonconvento's town center. This year (2012) on Sunday 22nd. 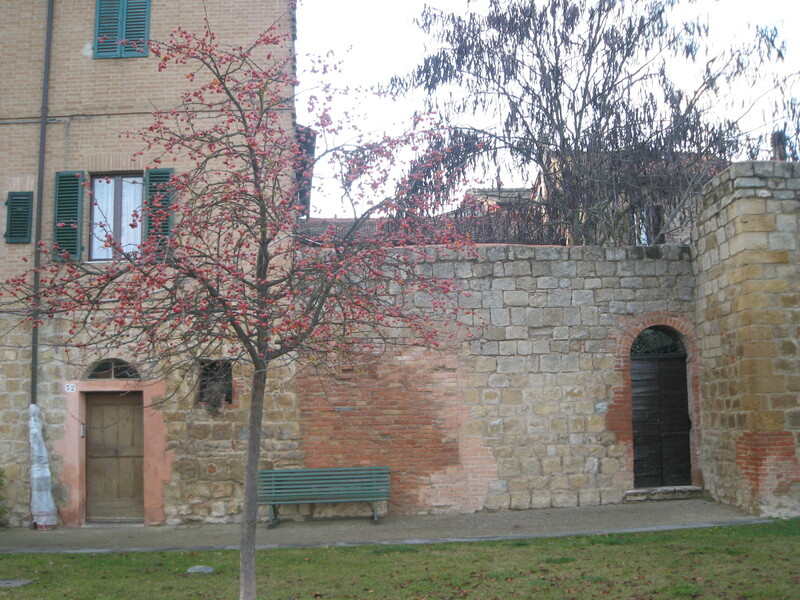 If you want to find out more about the history of the Tuscan farmers, tie in a visit at Buonconvento's Museo della Mezzadria (the co-organizer of the "Festa della Trebbiatura"). Tuesday, Thursday and Sunday 10am - 1pm and 3pm to 6pm, Wednesday and Friday only 10 -1pm, closed on Monday. It's advisable to consult their website or call them to check opening times during the festival.